This is the beginning of what I hope to make a little daily art event in my life. I am participating in Kelly Kilmer’s class A Life Made By Hand. Beautiful! Have fun with the class. I’m sure it will stir up lots of creativity. 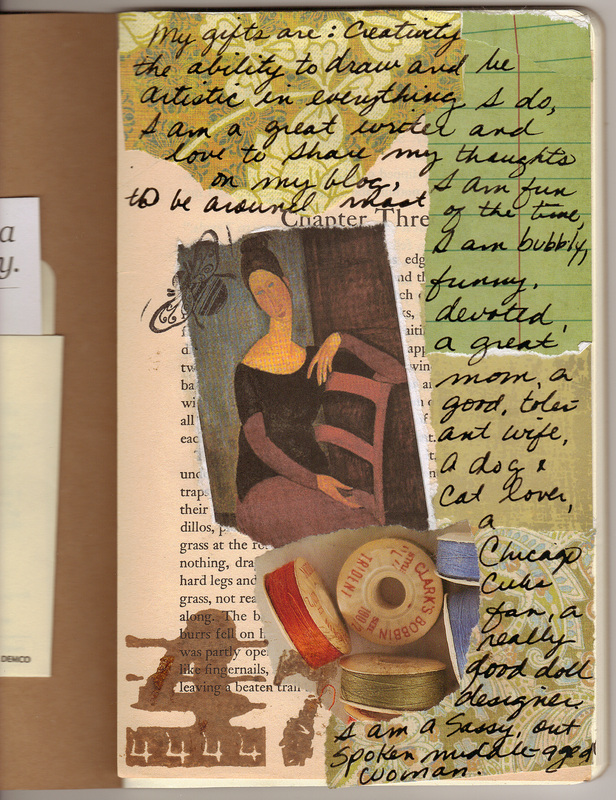 Wow Emily, awesome journal page..love it !! I took this class from Kelly also. Now I’m taking the Memories class. I like your page. The focals are great and work with the background papers you used. Love the way you take time to nurture the soul..